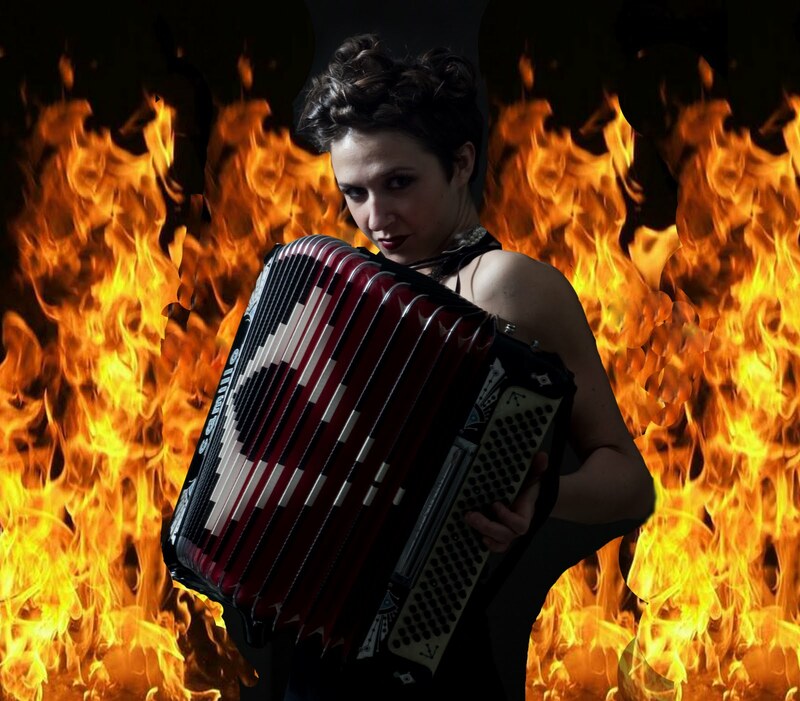 MISS NATASHA ENQUIST: ELECTRO-ACCORDION CHANTEUSE: Saving the ER with the accordion! Saving the ER with the accordion! So remember when my car overheated? Well.. now so did I! Aren't you thrilled!? One of the scariest and traumatizing things that I have ever experienced happened to me last Friday. I came down with heat exhaustion and had to get my cast mate to drive me to the ER where I spent 4 hours having fluids pumped in to my arm, and my blood pressure monitored. Tell me I need to drink more water, go ahead, tell me. For those who know me well know that I treat my body like a temple, and condition it like an athlete. A basic mantra: treat yourself well, and you'll feel well. Water, electrolytes, proper nutrition, exercise - I think the YMCA staff know me by name. Playing the accordion takes a lot of core strength, strong arms, and plenty of endurance. Accordionist's of the WORLD! How strong are our bodies!?? How heavy are our accordions!? I'd like to thank the ER staff at the Dr. Phillips hospital for taking such great care of me, and for being so interesting to talk with. "Nice meeting you, hopefully we won't see each other ever again". My doctor knew I was a musician but was puzzled as to what my instrument could be, that he was usually able to guess by looking at the person. He was able to narrow down that it was probably a woodwind. I replied with a coy "Yes...it's a woodwind". He was still unsure, and I tried to give him a clue with showing him my 'massive' arm muscles. He asked "the bassoon?" FAIL. He asked "One or two reeds?" and I told him "Oh, more than two reeds!" He gave up and I told him "THE ACCORDION!" We had a great chat about my European heritage, and how I came to be with this multiple reeded, bellowed instrument. He also charmed me with letting me know he's visited my home city of Victoria BC several times, and knew how lovely and majestic the west coast is. I discovered a helpful site, by someone that is actually living in Florida, detailing temperature care for an accordion. This is a HUGE concern for me and my instrument, luckily I keep my most prized accordion at home safe in a temperature controlled apartment, but the one I use outdoors these days is considered a 'beater' and boy does it get hot, and you can feel a difference when you're playing. Kind of a weird heavy putty-like feeling, along with weird shrill squeaks of off-notes. Things are definitely heating up in Florida, hopefully I won't have any reed blocks melting out of place and I'm keeping a close eye on my accordion at work since having to get an accordion tuned is very expensive! 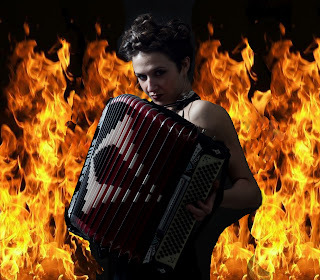 I'd love to hear any feedback about any heat horror stories, or what you find works for you and your squeezebox in higher temperatures!